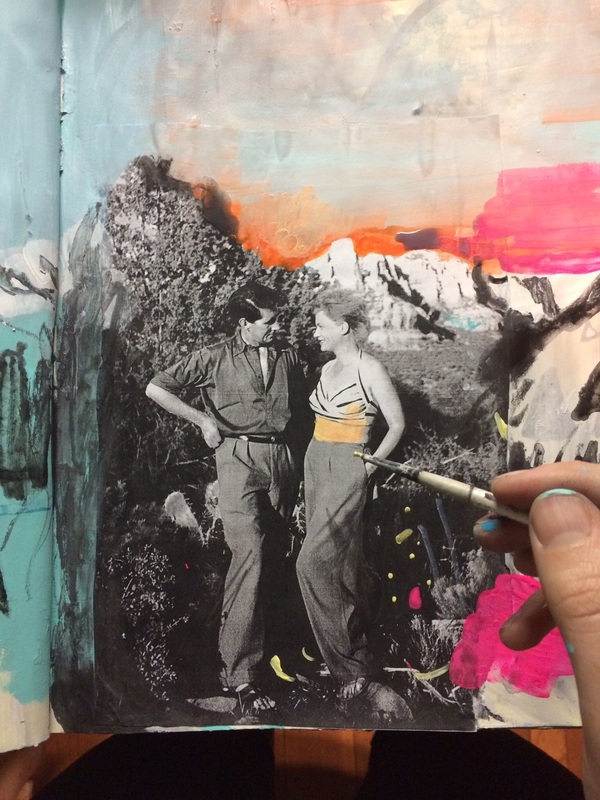 If you have zero ideas of what to draw or paint you can glue a magazine cutout or photo to a page in your art journal. Let it inspire your mark making. You can color it in or paint over it or "zoom out" and paint the setting around it. Let it inspire whatever it inspires. I used a Xerox of a picture in a book. It's artists Lee Miller and Roland Penrose.